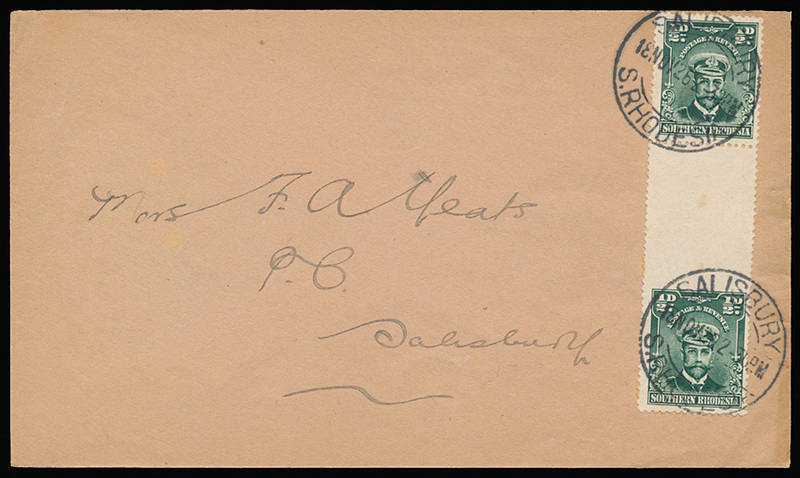 1926 18th November, cover bearing KGV Admiral ½d vertical pair across the horizontal interpanneau margin, the lower stamp imperforate to top (SG 1 var.). Cancelled 'SALISBURY' locally addressed. Obviously philatelic although still most unusual.